As we say goodbye to a content-filled 2017, members of the Speak team look back at seven highlights from the last year – from global campaigns to innovative brand journalism. “Last year marked 200 years since Parkinson’s disease was discovered by Dr James Parkinson in his ‘Essay of the Shaking Palsy’. To mark the occasion, we joined forces with the EPDA – who we produce online magazine Parkinson’s Life on behalf of – and Parkinson’s UK to support the multichannel Unite for Parkinson’s campaign. As the official media partner for the campaign, our Parkinson’s Life team created a 12-week editorial calendar of special features, provided 24-hour campaign coverage and promoted the hashtag across Parkinson’s Life social channels and e-shots. “With the 100th anniversary of the Barclays technological innovation centre Radbroke Hall fast approaching, we planned and produced a special package of content to celebrate the occasion. The five features included an article focusing on the significance of the centre; a ‘From the archives’ piece looking back on the move of Barclays staff from London to the centre in Cheshire; and three of our regular ‘My Working Day’ pieces, profiling different roles on the campus. “As part of our on-going partnership with Royal Mail, we were asked to plan and execute an internal campaign which focused around the power of teamwork at Christmas. The festive period has always been a busy time for Royal Mail, and we were excited to be part of the fun, flying over to Belfast where we interviewed employees at ‘Santa’s mailroom’ and ‘Santa’s grotto’. “2017 was the year that Swim Generation, one of our biggest projects for Speedo to-date, went live – with the aim of helping to save lives around the world by teaching the basics of water safety and swimming. We drafted the project’s campaign guidelines, and delivered a wide range of content – including a public microsite and a campaign handbook. We also devised top-level messaging, supporting copy, and compelling infographics for a range of online and print channels – and created the script for a short film aimed at inspiring stakeholders to get involved. “In October Barclays asked us to cover its digital innovation event New Frontiers , a day filled with lectures and seminars from the brightest minds in the technology sector. We crafted a detailed communications strategy, ensuring we were able to provide real time social media coverage and pre-planned follow up stories the following day. “We were asked by Melbourne based biotechnology company Global Kinetics to create a documentary that showcased its KinetiGraph product – a watch like device that tracks the movement symptoms experienced by Parkinson’s disease patients. We recommended an empathetic approach, which placed the patient at the heart of the story, and thus created a four-minute documentary that was both informative and meaningful to the audience. 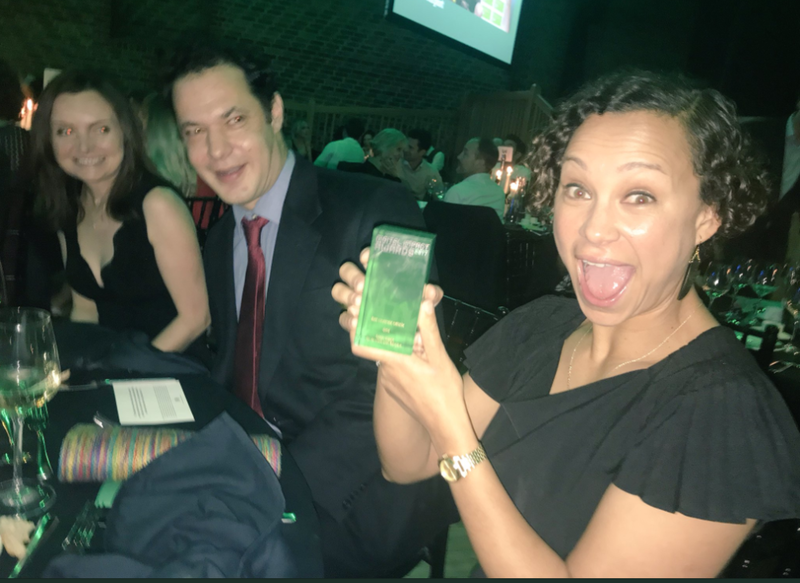 “In October we were delighted to see home.barclays, the global corporate website for the Barclays group, win ‘gold’ at the Digital Impact Award. Since partnering with Barclays in 2016, we have established a content strategy, completely redesigned the site and created an integrated brand newsroom for the bank. With regular, dynamic pieces of content we have helped to engage readers – and create a visually appealing editorial experience.